All unflavored ground coffees are acceptable for Passover use when bearing an OU. 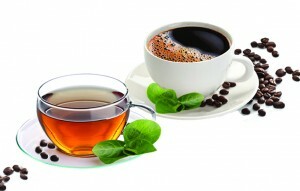 Coffee is often decaffeinated by means of ethyl acetate, which is derived from either kitniyot or chometz. Certain brands of decaffeinated coffee are approved when appearing a regular OU symbol. Please check the OU Passover product search or consult the OU Passover guide for a complete list. Instant coffees often contain maltodextrin, which is derived from either corn (kitniyot) or wheat (chometz). Therefore, all instant coffees require special Passover certification. Please check the product search or consult the OU Passover guide for a complete list of instant coffees approved with a regular OU symbol. Keurig/K-Cups: K-Cup Packs are NOT regular coffee grounds. Therefore one may not use their year-round or office Keurig on Pesach unless it is cleaned extremely well and kashered. (Please see the Modern Kitchen article on p. 24 of our Passover directory for exact details). For those wishing to invest in a new Keurig machine, there are indeed several dozen K-cups that are acceptable for Pesach, even though they are not labeled OU-P. A complete list is available on the oupassover.org search engine. Please be advised that the OU symbol often appears on the box and not on the individual cup. Unflavored tea bags (including black, white, and green) are acceptable for Pesach without special supervision. Decaffeinated and instant teas require special Passover certification unless listed as approved with a regular OU symbol. See product search or the Passover guide for a complete list.